Audioboom / Episode #82: Trailer Theories! Mikey, Kaitlin and Eric are back!. In this weeks episode we cover all the latest news, and go over all the latest theories from The Last Jedi trailer! 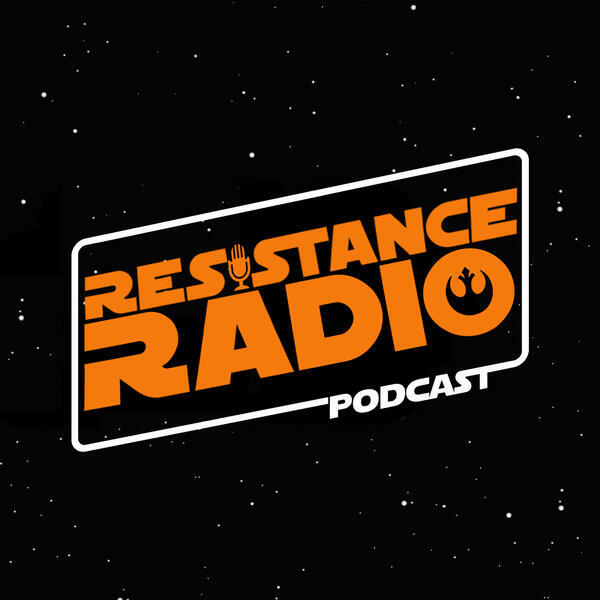 You can contact Resistance Radio on Twitter @RRadioPodcast, Facebook or on our website ResistanceRadio.net. Don’t forget to subscribe to us on iTunes! A dedicated Star Wars fan builds a 2 story tall AT-AT in his front yard! Best house ever! New The Last Jedi toys reveal new lines of dialogue from Luke and Rey. Can we guess more about the film with this info? The official Star Wars: The Last Jedi website has launched! Episode 3 & 4 of Rebels has aired and Mikey breaks it down for everyone. Are you a Reylo (Rey & Kylo Ren) Shipper? Will there be a love story between the two of them? Does Rey get tempted to go to the Dark Side? They have cookies! Does Luke become the villain in this movie? The advertising sure makes it look that way. Does Ben Solo get redeemed and join Luke and Rey to fight Snoke? Does Poe fall to the dark side and become a renegade? If there are any issues downloading this episode from iTunes, please refer to this guide. Episode #83: Woooo Spooky! Force Ghosts!